Smart Walkie Talkie VP-2000 is the first All-In-One Device that combines Business Apps , Walkie Talkie and Messaging for Field Workers. To provide Enterprise buyers with the best Walkie Talkie Phone, Smart Walkie has launched its newest model VP-2000 for FY 2016. VP-2000 has a hard PTT button on its side which always works. 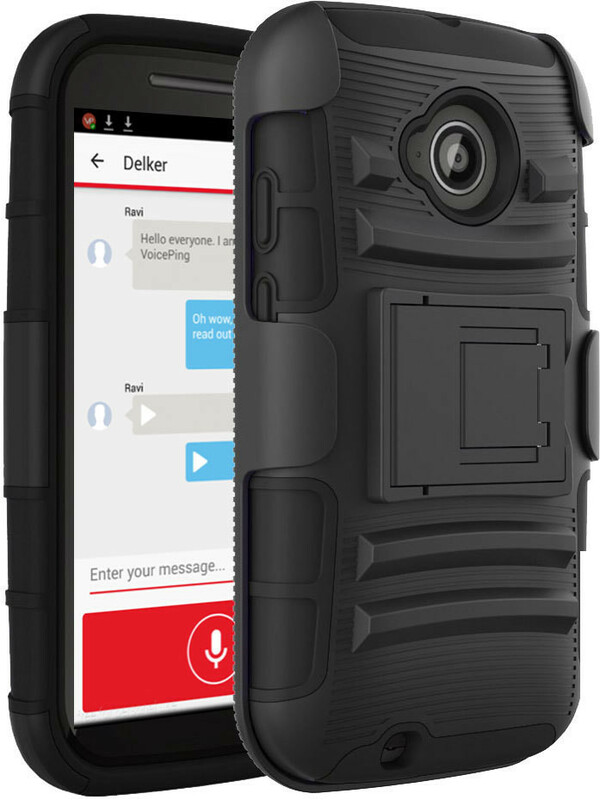 Unlike normal smartphones, the PTT button has been configured to work even with the screen off and even if you are not in the walkie talkie app. A user can easily talk to your co-workers without needing to look at the phone and you reduce the migration and training pain. Smart Walkie worked with Solidtronic to connect conventional 2-Way Walkie Talkies to new Smart Walkie Talkies. With Smart Walkie Bridge RT-RoIP2-VoicePing by Solidtronic, companies can spread out capital expenditure by migrating existing infrastructure by manageable batches instead of all at once. Ask for a demo set of VP-2000 and RT-RoIP2-VoicePing at http://www.smartwalkie.com.